Fraunhofer FKIE researchers have developed a new machine-learning software that automatically filters out fake news and disinformation. Fake news is designed to provoke a specific response or incite agitation against an individual or a group of people. Its aim is to influence and manipulate public opinion on targeted topics of the day. Of late, it has been taking the internet by storm, particularly on social media such as Facebook or Twitter, and is quite difficult to identify. Fraunhofer hopes its new classification software could remedy this much before disinformation hits the web. The new software was designed by building libraries made up of serious news pieces and also texts that users identified as fake news. These form the learning sets used to train the system. 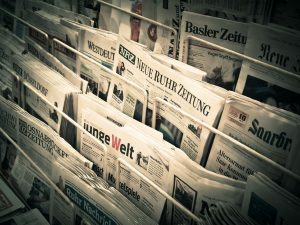 To filter out fake news, the researchers employ machine learning techniques that automatically search for specific markers in texts and metadata. For instance, in a political context, it could be formulations or combinations of words that rarely occur in everyday language or in journalistic reporting. Linguistic errors are also a red flag. This is particularly common when the author of the fake news was writing in a language other than their native tongue. The researchers have also included metadata as a marker. It plays a crucial role in differentiating between authentic sources of information and fake news. For instance, how often are posts being issued, when is a tweet scheduled, and at what time? The timing of a post can be very telling. It could also reveal the country and time zone of the originator of the news. Moreover, an account’s connections and followers can also prove fertile ground for analysts.